Photo Galley Thursday " Crab Roll at Luke's Lobster"
I hate to say it, but I just don't get it. 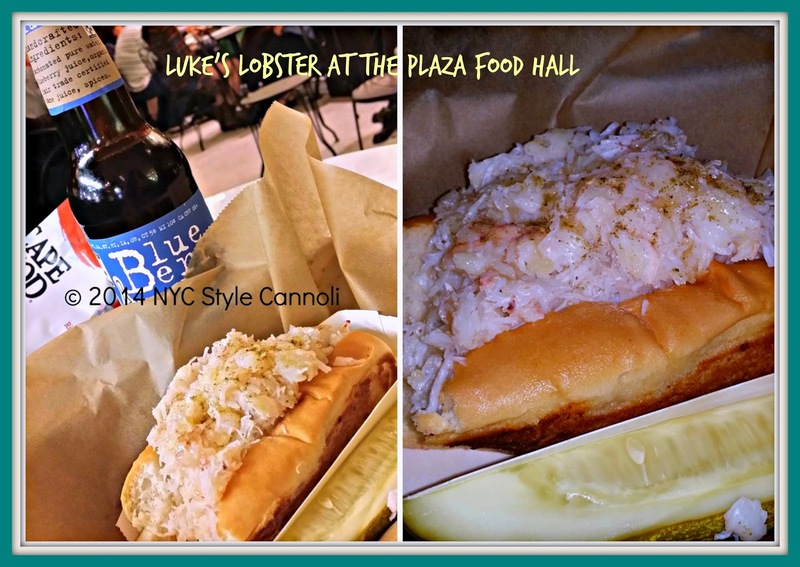 I have tried the Luke's Lobster rolls in a few versions - Lobster, Shrimp and the photo above Crab. I am just not in love with them. They are okay, and they are filled pretty well, but I just don't think I am super-excited about them. I am a huge seafood lover, would eat it every day to be honest. These rolls just do not thrill me. There was so much talk of them, and when they opened in the Plaza Food Hall, I was quick to try one. My favorite was actually the shrimp roll. The shrimp one is actually the most inexpensive. After I had this for dinner, I found the new crepes place. I was not happy as I love crepes, next time, we try the savory crepe for dinner. The Plaza Food Hall is great to pop in during the week, not as crowded as on the weekends. A must stop when in the city.